Messages delivered by Dr. Bill Fleming, Jr, pastor of Rogers Memorial Church. Psalm 23 is the best-remembered psalm in the Bible, but how much do we really know about it? It’s called “the shepherd’s psalm,” but it isn’t about sheep. How many people sit sheep down at the table and invite them to live in their house? This psalm has a flow to it. It’s a journey, not a destination. It is really the journey of a Christian through life. It begins with sheep grazing in green pastures, besides pools of still water. This is a rarity in the Judean hills. Sheep graze on them all through the year. Only occasionally is there a place where water pools, because the ground is hard and rolls off the side into the deep gullies. They are safe for grazing on top, but most of them are surrounded by cliffs and steep gullies, so a shepherd must keep them from falling off the sides. Sheep are dumb and shortsighted, so shepherds must guard them. David intended this picture to remind us of ourselves. He is calling us dumb sheep---and so we are! If there is grass, we don’t notice or care about the dangers around us. This is not a problem, if we have a good shepherd, who can keep us enclosed in His protection. We can live in safely, but only under the shepherd’s eye. Then David says, “He restores my soul.” What sheep needs its soul restored? There was an interesting study done by some psychologists to test the effect of stress on sheep. They gave painful electrical shocks to sheep at regular intervals. At first, the sheep reacted with panic, but they soon adjusted and got used to it. Then the scientists started shocking the sheep at irregular intervals, so they couldn’t get used to it. As a result, the sheep became nervous and irritable all the time. They didn’t get better over time. Only when the sheep could graze in a peaceful, open field with no stress at all, did they slowly get better and calmer. You could say in that stress-free environment, they were restored. Do you ever feel like those sheep? Life gives us several shocks, usually when we least expect it. The world feels unsafe and scary. As a result, we are anxious, nervous, and neurotic. Problems keep coming up and each one knocks us down. There is no place we are safe, and no time for our soul to be restored. The reason that we find ourselves in such a bad place is usually because we chose to be there. The more bad decisions we make in life, and the longer we go without trusting God, the more we must worry about. Then we make the mistake of thinking we are strong enough to go without rest and can handle all that life can throw at us by ourselves. If we hold on to our pride and self-will, we will not be healed. Imagine a stray sheep wandering alone in the desert. He’s starving without good nourishment. He’s dying of thirst, then a shepherd comes along and finds him. Stupid sheep! But here’s the truth—that sheep is us. God offers forgiveness, leadership, relief, and love. He offers to restore our souls, but instead, we choose to turn it all down. No wonder we are in such a mess! But when we join God’s flock and come under His care, we start to heal. He leads us to a place of peace and safety. Without Jesus, we are lost. Until we accept His gift of leadership and forgiveness, we will never heal, but will remain in a place where the shocks come irregularly, and the pain never ceases. The most important thing you will ever know about God is that He loves you and accepts you into his flock, just the way you are. When life beats us, He takes you to a place where your soul can be restored. This is the first part of the journey—the restoration of the heart. But Psalm 23 doesn’t end there. We can’t live in green pastures and still waters forever. The world isn’t just made of green pastures and still waters. God wants us to be able to go anywhere, do anything and trust Him always. But this won’t happen if we stay in the safe places of life. Christians often have a fortress mentality to life. God gives us a place of safety, and we are content to live there. We build walls to keep disruptive elements out, and to keep our enemies away. We are safe behind the walls of our defenses, but we are not free. God wants us free to go wherever. So, God leads us away from the still waters and green pastures. “He leads me in the paths of righteousness for His name sake.” Eventually, God leads us away from safe pastures into an unsafe world. The green pastures and still waters don’t last forever. When it is time, God leads us gently along the right path. Which way do we go? There are so many paths off that hill, and most of them lead to disaster. Take the wrong one and you can wander off a cliff. But the shepherd knows the right way. Keep your eyes on the shepherd, and seek His wisdom, and He will help you find the right way. Perhaps the most important skill a Christian requires is one that is never taught in church. How do we recognize the voice of the Shepherd? God speaks in the Scriptures, and we need to learn what it says and how to interpret it correctly. But God also speaks in our innermost heart and gives us daily guidance regarding the everyday choices of life. The Bible doesn’t tell us who we should marry, what school to attend, what job to take, or what car to buy, yet any of these decisions can affect our lives for years. God can counsel us on every decision. But we must stay close and learn to listen to recognize His voice. God still speaks to us, but we must listen. We must spend time with Him daily. Only those who have spent much time with God in prayer and worship will be able to recognize His voice in a busy life. Martin Luther once said that his business was so pressing and his responsibilities so great that he had to spend four hours a day in prayer. We go the opposite way. The busier we get, the less time we spend in prayer. No wonder we fail to hear Him! The “valley of the shadow of death” is a real valley on the way from Jerusalem to Jericho. It is a very steep crevice and often fills with water. In ancient times, it was a good place for robbers and wild animals to hide. People traveling from Jerusalem to Jericho had to go through there, but no one liked it. Nevertheless, it was a place they all had to go through. God has much more in store for us, but to get there, we must go through some scary places—childhood, puberty, school and college, marriage, parenthood, sickness, the death of loved ones, retirement, and death. Unless Jesus returns in our lifetime there is no way around these valleys. But God gives us this one great promise, “For Thou art with me.” You must go through them, but you don’t go them alone. His hand is with you all the way. One misconception we have about this journey we are on is that Jesus is always gentle with us. He is gentle most of the time, but sometimes He can get rough! “Thy rod Thy staff they comfort me.” Sometimes he must yank us back into line or whack us to get us to move. But isn’t that what we want Him to do? If you ever raised a toddler, you know what David’s talking about. Sometimes the worst thing we can do is to be tolerant of error. But the shepherd knows what is right, and even his correction is kind. No matter how old we are, we can still be stubborn sheep and need to be brought back into line. “Thou preparest a table for me in the presence of my enemies.” This phrase is clearly talking about a higher level of trust and growth than what we see at first—one that is only possible after we have endured a few shadowy valleys. God doesn’t want us to spend our life only in safe places. There is no growth in that. He wants us to get out into the same world that gave us all those shocks, but He wants us to be able to take it. The enemies of God can be people, or it can be circumstances, but God wants us to be able to have a good time with Him wherever we are. There’s a famous photo of men working on a skyscraper taking a lunch break on a beam thousands of feet in the air. They smile and joke as they eat their lunch. As a person with a fear of heights, this terrifies me. How can they rest so easy while in such danger? They can, because they trust. Imagine God setting out a picnic for you in a clearing in a forest, with bears, lions, and wolves all around you. How easy would you rest? That’s the secret of trusting God. When we are young, we learn we can trust him in safe places. But when we grow old, we learn we can still trust Him when not everyone likes us, and not everything is safe. We learn that no matter what is happening around us, we are safe in Jesus. “Thou anoint my head with oil.” It’s hard for us to imagine someone dumping olive oil over our head as a blessing, but the ancients loved it! It was a sign of joy, favor and blessing. You did it to your most special guests. While you are in the middle of your problems, God makes you one of his favored ones! “Surely, goodness and mercy will follow me all the days of my life, and I will dwell in the house of the Lord forever.” Notice the progression in this psalm. In the first part, the psalmist feels blessed, because he is in a safe, green pasture. His circumstances gave Him a sense of comfort. But after following Jesus down the righteous path and through the shadowy valley, he has that same sense of blessing when surrounded by enemies. At first, we are blessed by circumstances, then we look to the Blesser, not the blessing, and follow Him where he goes. We endure suffering and pain until we can be blessed, even among our enemies. Finally, we are with Jesus forever in his house and are blessed many times over. God has a great future for you. But this future only comes from following Him. Don’t become distracted by worldly concerns. Trust Him to take care of you, and He will. This story is a great testimony to faith, there is no doubt. This Roman soldier knew more about faith than just about anyone else that Jesus ever knew. The Bible says that this man was a Roman centurion. He was part of the military occupation of Palestine by the Roman Empire. The whole province of Galilee was considered by them a war zone, like we might think of Syria or Iraq. Centurions were the middle ranks of Roman officers. They would be like master sergeants or lieutenants in our army--capable men who can could get the job done, but not creative thinkers or great strategists. Generals don’t want people serving under them who think for themselves, but people who follow orders and know how to get others to follow orders. Faith is a necessary trait for a good mid-level officer like a centurion. They must have faith in the judgment of their commander, and in their commander’s willingness to give them support. If the commander said to attack the enemy from the flank, the centurion must believe that the general knows what is best. He must also trust that the commander has put in place the supply lines and support necessary to accomplish the mission. A good centurion places his life into the hands of his general. Likewise, the centurion expects the soldiers under him to be obedient. He understand that the order of command is essential. If soldiers do not work together under the chain of command, the whole fabric of the army is destroyed. How can an army survive without leaders? Mutual trust and submission are essential to every army in the world. Faith in God is like a centurion’s faith in his commander and his soldiers. Faith isn’t about not having doubts, but about trusting and being submissive to our heavenly Commander. We may question and doubt, but we obey in the end and trust that Jesus has an answer. We all have our doubts, even about God. But faith is submission in spite of doubt. I may not understand why God does what He does, but believe that God ought to be in charge, and that whatever happens is His will. I am glad that I am not in charge, because I do not know what to do. But He is in charge, and I am happy with that. But we Christians are often prone to question our Commander’s wisdom and actions. We act as if God doesn’t have a plan. We only go into battle if we can see the outcome. God doesn’t tell us what is going to happen, and we don’t need to understand what happens. We just have to obey. God sometimes calls us to be successful. Billy Graham was the most successful evangelist in our lifetime. When he was a little ARP boy growing up in Charlotte, who would have ever thought he would grow up to be the greatest evangelist of his time? God called him to fantastic success. But God can just as easily call us to fail to succeed. The prophet Jeremiah is a good example of this. During his lifetime, he was called to deliver an unpopular message to people who wanted to kill him. Only a few people listened. But he proved to be right, and now we regard him as a major prophet. Faith isn’t accomplishing miracles—it’s being a miracle. When we are operating according to faith, we are instruments in God’s hands. Our part may be to be successful, to be sacrificed and suffer for His sake. He may use us to prepare the ground for others. Whatever our part, we must trust and obey God’s word. To understand what is happening in this passage, it helps to contrast this story with a similar story found later in Matthew 9: 18-24. In that passage, a ruler came to Jesus and said his daughter was dead. He asked if Jesus would come to his house and pray with her. The man is convinced that if Jesus comes, she will be healed. As Jesus is going, a woman who is continually bleeding breaks through the crowd, because she is convinced that if she touches the hem of His garment, she will be healed. Jesus notices this, and said to her that her faith has made her whole. When he gets to the house He discovers that the girl is not dead, but heals her anyway. This story in Matthew 9 is interesting, because everything that everyone believed, (except Jesus) is wrong. The girl is not dead. Jesus did not have to go to the ruler’s house to heal her, as we see in the Centurion’s story. The woman with the issue of blood did not have to touch the hem of His garment. She only had to believe. Yet Jesus did not correct their errors, but met them where they were. This Centurion understood faith better than these other people, because his work in the army taught him that it’s all about faith in his commander. He showed faith every day. He doesn’t have to see his commanding officer to follow orders. If he recognizes that the orders come from the Commander, he follows. Don’t over-spiritualize what faith means. Faith isn’t something we only do in church. Jesus is Lord, but everyday words that mean the same include Commander, Boss, Chief, and Leader. If you aren’t listening for God for orders, then Jesus isn’t your Lord. We don’t have to know why we follow. We just follow the leader. This centurion’s faith was a “doing” faith. When he was called he followed. Do you have that kind of faith? When God assures you that all will be well, do you continue to worry? When you pray, do you think that it will be done? Or do you only believe when you feel the presence of God. God grants us His presence, as He did with the ruler and the woman in Matthew 8, but He also works in the absence of our feeling of His presence. We don’t have to touch him or be touched by him. He is still there, when we don’t see him. When your kids go off to college, you don’t have to worry about them—God is still present with them. We don’t have to fix people’s problems, God does that. The best thing I can do is ask God for help. You don’t have to see or understand the answers--you just have to trust. “God, grant me the serenity to accept people I cannot change, which is pretty much everyone since I’m clearly not you, God, at least not the last time I checked. ‘Finally, give me the wisdom just to shut up whenever I think I’m clearly smarter than everyone else in the room, that no one knows what they are talking about except me, or that I alone have all the answers. Faith is believing that what happens to you is God’s business. Let’s say you are running late for an important appointment downtown. You hop in your car and calculate that you have just enough time to make it. But up ahead a tree fell on a car and it’s blocking up traffic. Now you are going to be late. Insurance companies have a name for these kinds of accidents. They are called “acts of God.” Is it possible that our insurance companies understand the nature of life more than we believers? If we panic over an act of God, then who are we trusting? Faith is believing whatever happens and however things work out, God is still in charge. God didn’t promise that everything would be easy, but that he would provide. Sometimes being late is exactly what He wants. We may learn a valuable lesson from being late than from being on time. So this Centurion in this story was a man of great faith. But even so, there’s something about this story that bothers me. Is it possible this centurion, missed something that Jesus wanted to do? There’s no mention of this centurion becoming a disciple—only that his servant was healed. Put yourself in his sandals for a moment. What if Jesus offered to come to your house? Would you say, “Don’t bother, just give your word?” We aren’t told what happens next. Maybe Jesus did come to his house anyway. But It would be a shame if this man received what he wanted from Jesus and never had Him as a houseguest. Faith is just the beginning—it’s not the end. Compare this story with Zacchaeus in Luke 19. Jesus came to Zacchaeus’ house, and he became a new man. What would this centurion have become if Jesus spent an afternoon with him? Faith is the door, but intimacy with God lies beyond the door. Jesus wants us not as soldiers, but as friends. A centurion obeys his commander, but he does not fraternize with him. But Jesus wants to share our joys, sufferings, pain and pleasure. A lot of people had faith in Jesus when he walked the earth. They believed he would save them, feed them and even believed he could be their political savior. But only a handful of people wanted to be with him everywhere. These people invited Him into their lives and they willingly forsook their lives to spend time with Him. They shared their pain and suffering with him and shared in His suffering. They were happy to be with Him not because of what He did, but because of who He was. They wanted intimacy with Him, not just blessings. I sincerely hope this Centurion went on to the next level, but I suspect he didn’t. The gap between Jew and Gentile was a real barrier to friendship, just as to many people the gap between God and earth is too great a distance. Our understanding of God’s majesty is important, but it can be a barrier if we do not also see Him as friend. God doesn’t want just to heal you. He wants to live with you. Invite him into your heart by getting still and quiet before Him. Learn to appreciate His presence in your life, and out of that place, come to experience His peace and His joy. Psalm 73 is sometimes called the “doubter’s psalm.” It contains the honest thoughts of a man who struggled with his faith. He was at a point of almost giving up on God, but came to accept His will. He is a man named Asaph, who was one of the lead musicians in the King David’s court. He was one of the holiest people in Israel at the time. Even so, he almost lost his faith, because he was looking at other people. Out of all the people we know, there are only a few who can wreck our faith. They are the ones we think about through the day and dream about at night. When we go somewhere, we ask ourselves. “Are they going to be there?” When we watch a crowd, they are the first ones we notice. When we see them coming, we cross the street to meet them or cross the street to avoid them. They are the ones who matter most to us. These people fall into three categories--those we idolize, those we love and those we hate. Those we idolize we watch so we can copy their behavior. I once knew a boy who idolized Abraham Lincoln. He read everything he could get his hands on about Lincoln. He tried to model his life after Lincoln, and it improved his study habits and his behavior. Lincoln was a good obsession for him. But where would this boy be if he discovered that Lincoln was a fraud? All the progress he made watching Lincoln would be over. This happens to many church people who idolize preachers, singers, or evangelists who later are shown to be sinners. If we idolize others, they can let us down. Those we love are our families, friends and children. When one of them succumbs to temptation, sickness, weakness or persecution after we have prayed for them, we can often become mad at God. We ask why God didn’t protect them. Good people suffer every day. Children get sick. People die before their time. Even so, we hardly notice until it happens to someone we love, and then we ask, “God, why?” Why don’t we ask that same question every time we read about any murder, accident, or sickness? Everyone is someone’s child. Yet it’s only when it happens to those few people we love that we start to question God. But Asaph’s problem wasn’t about people he loved or idolized. His problem was with the people he didn’t like. What got him doubting was the prosperity of people he hated---people he called the “arrogant.” They prospered when he didn’t think they deserved it. Most Christians won’t admit that they hate anyone. They certainly wouldn’t cause any deliberate harm to anyone. But hatred is about avoiding, not harming. The Biblical root of the word “hate” doesn’t mean doing violence, but avoiding it. If we find ourselves avoiding a person or group, we are feeling hatred, whether we admit it or not. If we recognize hatred in ourselves, then we should give it to God. Ask God for help to overcome our hatred. God doesn’t condemn us for feeling hatred, but we should recognize it and learn to overcome it. Asaph made a common error. He felt that whoever he hated, God must hate, too. If God hated them why didn’t he punish them? When God didn’t, he doubted God’s justice. Asaph had an erroneous understanding of God’s justice that many Christians share. It doesn’t come from the Bible, although there are places in the Bible that are misconstrued to support it. It’s probably best expressed in the Hindu term Karma. It’s the idea that the universe punishes people who do bad things and rewards people who do good things. What we reap, we sow. But Jesus tell us that God lets the sun shine on the good and the evil and the rain fall on the just and unjust. Jesus didn’t believe in karma. People would ask Jesus karma-like questions and Jesus wouldn’t answer. For example, they once asked him who had sinned—the boy or his parents—that the boy was born blind. Jesus said neither sinned--it was so God could be glorified. There is no sin associated with being blind. On another occasion, Jesus referred to a group of people who were crushed by a falling tower. Jesus said it wasn’t their fault. He told a parable about a rich man and a poor man in the afterlife. Neither of their deaths had anything to do with their behavior. Only in heaven did God bring reward and punishment—there was no karma here. From Jesus’ perspective, karma doesn’t work. When Asaph saw the wicked prospering, it upset his nature of karma/justice. But by the end of the psalm Asaph has learned to accept what God does. But how did he learn? How did he come out of his spiritual funk? The first twelve verses of the psalm describe Asaph’s problem. The arrogant are fat and prosperous. They are loudmouthed braggarts. They are even blasphemous. Why doesn’t God fry them with a lightning bolt? Asaph starts by looking at the arrogant. But then in verse 13-14, he starts to look at himself. Often the key to having a Godly perspective is to learn how to focus attention in the right place. Asaph turned from paying attention to the arrogant to paying attention to God. If we try to understand God by the way He treats others, then we’ll all become doubters. How do we know if the bad man is a victim of poor upbringing or the good man is really a phony inside? We can’t. We see the surface. But we can see ourselves much more clearly. Before we start praying for the destruction of others, we should pay attention to ourselves for a while. At first, Asaph sees no fault in himself. He is innocent. He has been unjustly rebuked. This is because he is looking at himself through eyes that have not yet seen God. He sounds like a little boy sulking in a corner, bemoaning the world all by himself. Asaph is on the verge of becoming a first-class hypocrite. Look at verse 15. “I’ll keep my mouth shut, so I don’t bother the kids,” Asaph says. It may be his own children he’s worried about. His job is choir director. If he loses his faith, he loses his job, and his children will suffer. So he just keeps his mouth shut about his doubts. But Asaph isn’t a hypocrite. He really wants a relationship with God, so he does something very wise--He talks to God, not just about him. He shifts his attention away from himself and onto God in verses 16-17. Notice the shifts in attention. He focuses away from the wicked, away from himself, and onto God. He tries to see them from God’s perspective. Verses 17-20, describes the end of arrogant people. But this isn’t the main point. Look instead at what Asaph does. He goes to God. Prayer makes the difference for Asaph, not the promise of karma. At first, his attention is entirely upon the people he hates, but he shifts that attention to God instead. God calls to forgive our enemies so we can stop thinking about them. As long as we think about them, we’ll never be free of them. They live as ghosts in our hearts. Forgiveness is taking our attention off of them and putting it on someone else. This change of focus gets us to look somewhere else. Arrogant people are just scapegoats for Asaph’s disappointment over his own treatment. It’s easier to blame God for not punishing them, than to blame God for not rewarding us. Before we can find peace, we must see our own hearts. Asaph pays attention to God. People have this idea that when we pray things will immediately get better. This almost never happens. Instead, we must be willing to sit for a while in God’s presence. It takes time to focus on God and turn from thoughts of the world and of ourselves. Prayer isn’t really entering into God’s presence. It is becoming aware that He is present all around us. Prayer is learning to attend to the presence of God. When Asaph settles down and listens, God begins to speak. In the presence of God, he sees other people differently. Those arrogant people are in trouble. Their feet shall slide in time. You don’t know what God has in store for them, so don’t presume to guess what God will do. Don’t judge them--they are none of your business! In the presence of God, he sees himself differently. Asaph talks about himself again, but this time he changes his tune about how innocent he is. In verses 21-22, He doesn’t sound innocent at all. Asaph realized he was being a bitter jerk. It wasn’t being righteous—he was just mad that God wasn’t as judgmental as he was! When we come to God, our sins get exposed. That’s why most people avoid prayer as much as possible. But if our sins aren’t exposed, we won’t get better. Exposure is required for cleansing. It is not required for forgiveness, since the blood of Jesus covers all our sins, past, present and future. But confession is necessary for getting over sin. The last part of the psalm 23-28 is a hymn of praise. What a change from the first part. Asaph becomes a contrite, joyful man. He is changed by honestly, humbly, and sincerely coming clean about his feelings before God. What are you feeling about God right now? Are you hurting? Learn what Asaph learned—come to the sanctuary of God. God may show you reasons, or He may not. But He will show you Himself, and that’s all that matters in the end. For several years a rock sat on my desk in my study. I have my friend Brian Phipps to thank for it. One day over breakfast he told me about what he was preaching on the next Sunday here are RMC. I liked it so much that I went out and found me a rock. The outline of what Brian shared with me then I share with you again now. Brian’s sermon was on I Samuel 7: 7-13. It was about the days of Samuel, the prophet, when there was no king in Israel. They had no standing army, but they had a mortal enemy—the Philistines. The Philistines have been pushing the Hebrews around for decades. In 1 Sam. 4, they fought at place called Aphek. To assure victory, the Israelites carried the Ark of the Covenant into battle. In the past, whenever they had the Ark, they won. The ark represented the Glory of the Lord, and God never failed them. Everyone believed that with the ark there, they would surely win. It didn’t happen. The Hebrews lost. Philistines killed the sons of the high priest and captured the Ark. When the high priest heard about the defeat, he fell over and broke his neck, dying instantly. Imagine how awful this was to the Israelites! They lost their king, their high priest, and the Ark. No wonder one of the women of Israel named her child Ichabod— “The Glory of the Lord has departed.” That’s how they felt in those days. Have you ever felt the sting of a defeat like that? I did once. Twenty-three years ago, I became pastor of one of the largest churches in our denomination. It was the job I’d always wanted. I took enormous amount of pride in my accomplishments. But after eight years of being pastor of that church I was tired, broken, and defeated. I felt that I had accomplished nothing. I felt the glory had departed from my life and ministry. One day, I preached a sermon on the call of Abraham and revealed that God had called me away from the church, but not to anywhere. I tried to appear brave, but I really was scared. I truly felt as if the glory had departed. It was also a time of great personal change in our family. All three of my daughters left home at the same time—one to marriage, one to school, and one to Japan. We lived in a manse, so we were giving up our home. Not only that, but Joy had to give up her job, and we had nowhere else to go. Everything was changing for us. That’s when I talked to Brian and picked up my rock. Richard Rohr calls this sort of time in our lives liminal space. Liminal means “doorway.” It a time when everything starts to turn, and we have no idea where it will lead. It’s It is a time when things are changing for us, but we don’t know how they will turn out. There are times when we can go for weeks, months or years when nothing changes in life. Day after day moves on and things pretty much stay the same. The stream of life is slow and steady. Then suddenly we hit the rapids, everything changes. Back in 2002 was one such time for us. Last November, I was praying, and I felt the Spirit of God speaking to me that everything in our lives was going to change, and it is. This year we are back in that doorway, liminal space. We are experiencing the loss of our parents, retirement, a new grandchild, and our other grandchildren moving away. Joy has had two surgeries, we are faced with major home repairs, and I am back in school, going though a new round of education for a new role. For years, everything went on with relatively few changes, and then suddenly everything is changing for us again. Our changes are minor, though compared to the changes that many of you have endured over the last few years, which have been far greater than ours. Many of you are living in changing times in your own life. And you as a church are back in liminal space, doorway space with us. Nothing is certain any more. But one thing is certain. God is still in control. God doesn’t work on a schedule. When He gets ready to move, it’s in His time and in His way. Back in 2002, we prayed for about a year over what we were to do next, and the Lord didn’t seem to be giving us all the answers. During that times, He answered our prayers one by one, but not all at once, so we lived in uncertainty and confusion. We could see the glory of the Lord, felt His presence, but we were uncertain of His will. When the Philistines stole the ark, it took a long time for God to show what He was doing. But eventually He did. First, we see what happened to the ark in 1 Samuel 5. It gave the Philistines nothing but trouble. They were plagued by rats and hemorrhoids. Soon, they were begging the Hebrews to take it back. They sent it back to the Israelites along with an offering of golden rats and hemorrhoids. They wanted nothing to do with the symbol of Israel’s powerful God. The Philistines were afraid of the God of Israel. Yet while the enemies of God recognized the power of God, the Hebrews did not. They were still discouraged, still defeated—they felt their glory had departed. The people of Beth Shemesh were the first to see the ark return. Farmers in the field saw the ark returning, and they shouted for joy. God had restored his glory. But the ark was not yet in its proper place. The ark belonged in the tabernacle. Instead, it was left for a while in a place called Kiriath Jearim. It was only partially home. It was in for twenty years, the ark rested at Kiriath Jearim, waiting for its proper place. I mentioned the ark was in the Tabernacle. A tabernacle is a tent, not a building. It is like one of those elaborate tents that Arab sheiks still erect in the wilderness. It is a moveable temple for sacrifice, designed to be carried with the people wherever we go. It was a reminder to the people that they were not yet home. The Israelites were very much like us. We don’t want a tabernacle. We want a house. We don’t want to change but we must. Our mansion has not yet been built. It will be waiting for us in heaven. Until that time, we will always be somewhere in the doorway of life, expecting to move on eventually. In 1 Samuel 7, Samuel the prophet called the people together at a place called Mizpah. There they wept and fasted for God to make clear His will. The Philistines were out there, waiting to fight, but the people bowed their heads and their heart before God. Some might have thought this was foolish, praying and not defending, but Samuel knew better. When we are in the doorway, we don’t know what’s out there. But we are trusting God to make things right. Liminal space is the perfect place for Satan to attack. It is a moment when we are most vulnerable. It is important at those times to be on our most trusting. At this time while the Israelites were praying, the Philistines launched a raid. If it were successful, Israel would have ceased to exist. The Philistines went into a panic. After prayer, all the Israelites had to do was to go out and rout the stragglers. The victory was the Lord’s. If it weren’t for God’s thunder, they would have been dead meat. In times of change, we don’t have to know how things turn us. We only need to remember God is in control. Look how far God has brought us today. This church was founded in 1952. It has endured pastor after pastor—some who were good and some not so good, several splits, a relocation, building programs, phenomenal growth and phenomenal shrinkage, strife and unity, blessings and disappointments. Has the church always made right choices? No. Has God cursed or judged it for its wrong choices? No. Like all living things, this church has endured its ups and downs, good times and bad. Don’t be afraid of it changing again. Don’t assume that change of any kind is bad. Change is the natural state of all living things. Don’t focus on what’s bad about change, but realize that every change is God’s invitation. Don’t look backwards through the doorway, but have the courage to face what is coming. God got you though the next doorway like he got you through the last if you will just keep holding His hand. But do this one thing. When you get through the door, put down a stone of remembrance—your personal Ebenezer. Remind yourself of it from time to time. Look back and see How God has carried you in the past, so you will remember not to panic in the future. Remember your Ebenezers—those times when God helped you. It may be the time when you first met Jesus. It may be a time when God provided you a job. It may be a miraculous healing or when some loved one trusted Christ. Record and remember God’s interventions in your life. The Israelites had short memories, it didn’t take them long to forget the Exodus, the Red Sea, the quail, and the manna. Samuel wanted to make it sure they would not forget this victory, so he put down the rock and encouraged others to do it, too. So, when Brian told me about his sermon, I went home and got a rock. I put nothing on the rock then--I just picked it up in faith. I didn’t know where or how I would know that the glory was returned, but I wanted to be ready when it did. So, I took a rock from that place, and brought it to this place. Today, I raise my Ebenezer. God has blessed me, and He has blessed you, too. Wherever He may take us in the future, we can look back on this day, this place, and know the faithfulness of God. God is our help. His glory is with us. If I remember that rock, I will remember that day. God helps us to never forget His blessings again. Bill is the pastor of Roger Memorial Church in Rock Hill, South Carolina. He is also the director of Pastoral Studies at Charlotte Christian College and Theological Seminary. He received a BA in Bible from Asbury College in 1975. a Master of Divinity Degree from Erskine Theological Seminary in 1980 and a Doctor of Ministry Degree from Gordon Conwell Theological Seminary in 2003. 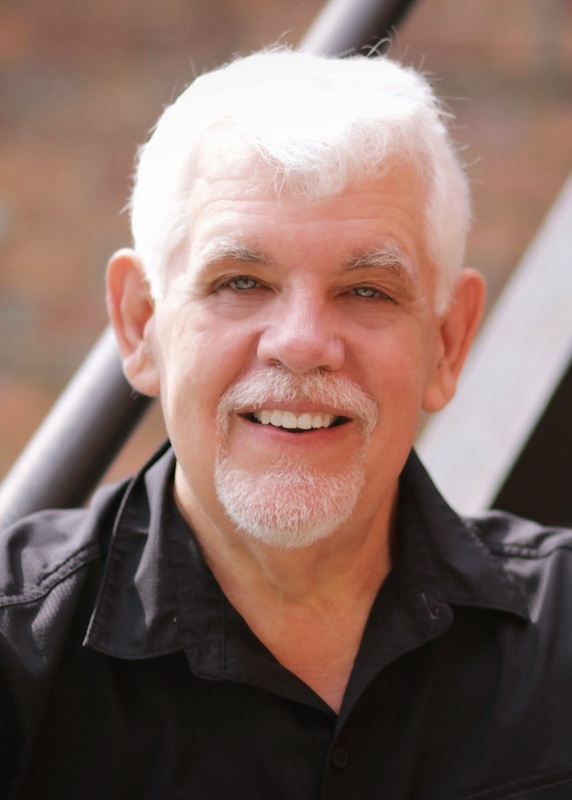 Bill has been a pastor in the Associate Reformed Presbyterian Church since 1980, and lives in Waxhaw, North Carolina with his wife Joy. He has three children and two grandchildren.